Vintage Cycle Service is born in 2007. Workshop for the assistance and customizing of Harley-Davidson motorcycles, from last Twin Cam, Evolution, through to the oldest as Shovelhead, Panhead, Knucklehead, and Flathead. At Vintage Cycle Service is possible also change from electronic ignition to carburetor the heart of your new Twin Cam. 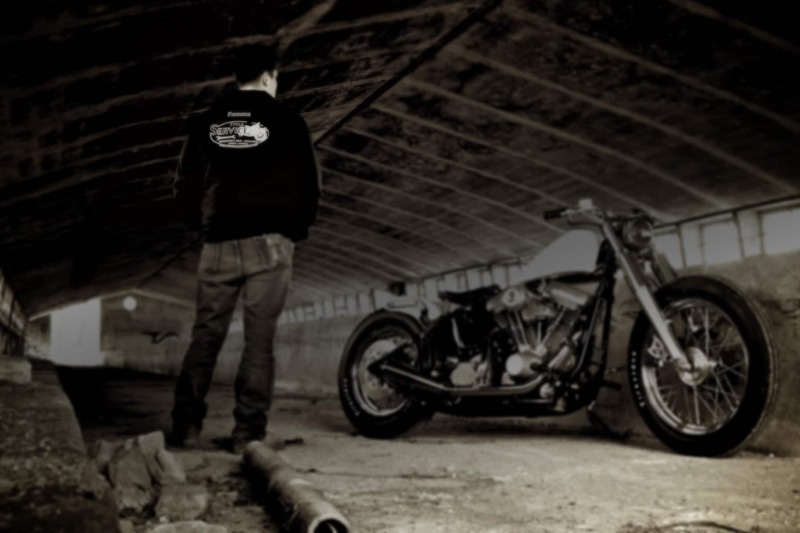 The years of experience in Harley dealerships, and passion for the Harley brand, allow us to ensure the best work for your bike. We always pay attention to every detail, nothing is left to chance. At the corner of the shop you can find BELL helmets (brand of which we are authorized dealers), BILTWELL and vintage originals helmets. We have some Vintage Cycle Service merchandise as jackets, shirts, hats and shirts, and many vintage accessories. You will also find the cool bubble visors. And if you want to play a game of pinball Harley-Davison … it’s free! If you need to find daily maintenance, repair, or if you want customize and put some style to your Harley-Davidson… come to us! Now, Vintage Cycle Service, can offer new services such as, complete high quality washing, or pick up your bike at home or wherever you need, also if you are stopped in the trafic. We are in Italy, Florence, via di Scandicci 254/F.